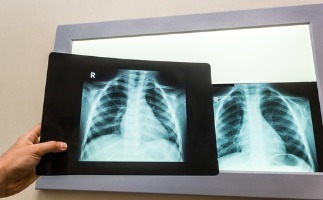 Home > California Health Insurance News > Health News > Can Lung Cancer Screening Save Lives and Money? A new study published in the Journal of Thoracic Oncology suggests that lung cancer screening could be a cost-effective way to identify lung cancer if it is used to identify other conditions related to tobacco use in those who are high-risk as well. The study was performed by researchers from Canada who, following their research, believe that combining a CT (computed tomography) screening for multiple conditions along with efforts to manage heart and lung diseases that aren’t cancer-related (and efforts to stop smoking) can help make the screening a lot more cost-effective. Over the past few years, lung cancer treatment has become more and more expensive, which makes early detection and prevention even more important. In fact, the ability to diagnose smoking-related diseases could help to improve the length and quality of people’s lives. Unfortunately, there is no national lung cancer screening program currently in place. This is because there was very little evidence available that a lung cancer screening would help improve a person’s life considering the costs associated with such a program. Fortunately, this newly published research shows that lung cancer screening programs implemented on a national scale could become more financially viable if they target high-risk people and if the screenings are also used to identify non-cancer conditions; for example, COPD (chronic obstructive pulmonary disease). Using data gathered from two major screening trials, researchers found that if they targeted high-risk people, then they could reduce the number of people that would need to be screened for cancer by over 80 percent. They determined that it would cost slightly less than $21,000 CAD a year per life saved. This would be more cost-effective than the $100,000 that is often paid for other types of cancer interventions. A national lung cancer screening program could become even more cost-effective if it is combined with smoking cessation. If done properly, a lung cancer screening program in the United States could be just as effective as well. For the latest on health news around the world, visit us at The Benefits Store.